Traditionally woven from reeds, hung in the home, the St. Brigid's Cross is a sign of protection throughout rural Ireland. 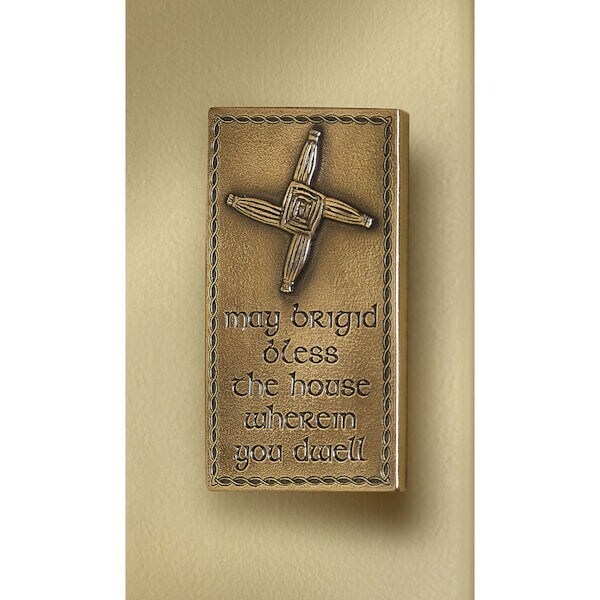 Made in a small studio in Ireland, hand-cast in bronze over resin with a ceramic core, plaque is impressed with "May Brigid bless the house wherein you dwell." 3" x 5½", it's ready to hang from a notch on back.